Thirty-seven prisoners have completed a religious course which is part of a government strategy to reduce re-offending. 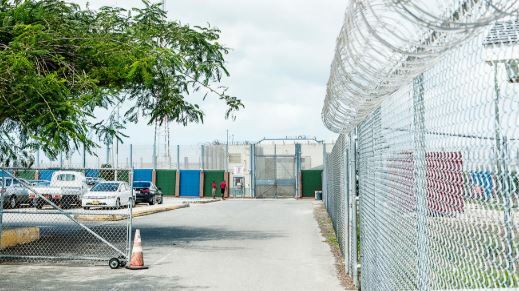 The Prisoner’s Journey (TPJ) is one of a growing number of Prison Fellowship International (PFI) programmes that the Cayman Islands Prison Service makes available to inmates and encourages them to review their lives in the context of their relationship with Christianity. Home Affairs Minister Hon. Tara Rivers described The Prisoner’s Journey as another strong addition to the suite of rehabilitative programmes that the Prison Service offers to prisoners to prepare them for re-entry into the community and help them make better life choices upon release. “The Prison Fellowship International programmes that have been implemented by the Prison Chaplaincy Service offer a great opportunity for prisoners to gain a better understanding of themselves, their actions and the impact that their crimes have on their families and the community. “Initiatives like this form an important part of our strategy to reduce re-offending and promote strong family and community life, which are key priorities for this Government. We will continue to support the efforts of the Prison Service to improve offender outcomes through the increased delivery of rehabilitative programmes." As part of the programme, Director of Prisons Steven Barrett, and Prison Fellowship Cayman Islands Chairman Pastor Alson Ebanks visited with the volunteers and offered words of encouragement and gratitude for their service. Pastor Alson noted: “There are many people who are skeptical about prisoners, and what they would call 'jailhouse religion', apparently believing that the only reason inmates sign up and participate in such courses as The Prisoner's Journey is to have another positive point when they come up for parole. 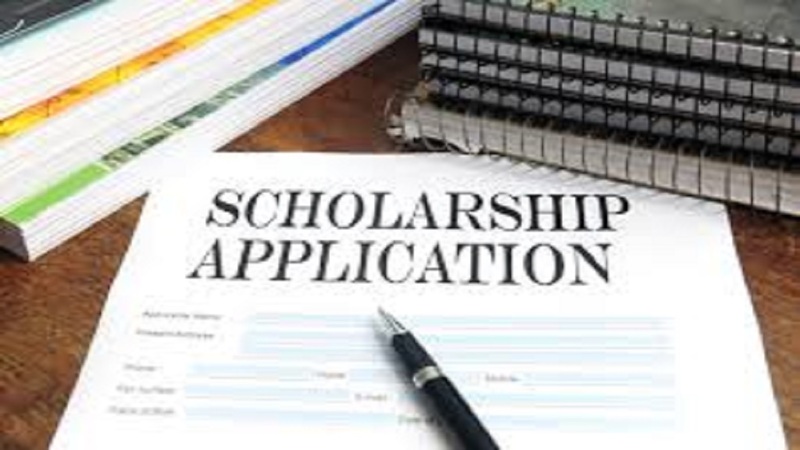 "Having attended the graduation ceremonies on Monday and Tuesday at both Northward and Fairbanks, and hearing the various reflections of the course participants, I was moved by what I saw and heard. I believe that this programme has made a real, genuine impact on the lives of the participants, and I want to congratulate every one of them, as well as thank Chaplain Gomez and the facilitators for their great work in running the programme with this first cohort. TPJ is a journey through the gospel of Mark and seeks to answer three questions: ‘Who is Jesus?’ Why did he come?’ and ‘So what, what is that to me?’ The programme began at HMP Northward and Fairbanks in January of this year. 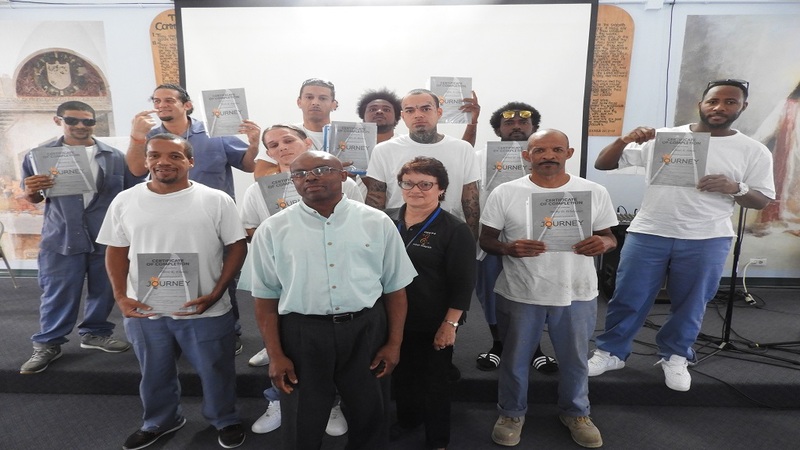 Prison Chaplain Cathy Gomez attended facilitator training in Trinidad in August 2018 and subsequently conducted course leader training with six volunteers to assist her with the delivery of the programme. According to Ms Gomez, as optimal class size is limited to 12 participants - and two volunteers are required to teach each group - having six volunteers allowed HMCIPS to run several groups simultaneously. There were three groups at Northward and one at Fairbanks, resulting in the graduation of 27 men and 10 women. The Rt. Rev. Dr. P.J. Lawrence, who assisted in the delivery of the program at Northward, said: “The experience was great. The participants were honest, open to learn, and committed to the journey. Ms Gomez noted that she has a mandate to engage at least 60% of the prison population in the programme by June 2020, so she will be seeking additional volunteers. Explaining how the programme helps to spread fellowship within the prison environment, she added: “Once prisoners have completed the course, they may also assist with the facilitation of future groups, and this opportunity enhances both the impact of the programme and their motivation to participate. One of the participants who completed the programme said: “The Prisoner’s Journey has blessed me by allowing me the opportunity to appreciate all that Jesus did for me by dying on the Cross to save my sins. It has led me to have a closer relationship with God and it has taught me that once I commit fully to God, my life will get better and He will help me through all of life’s struggles."